"Date Night"-- A regularly scheduled event enjoyed by two people; couples, friends, child & parent. The goal of "date night": an uninterrupted hour or two of face to face listening and sharing, or as some might describe it--therapy. And that's what finally brought N and I to Mix Bistro-- date night. I shouldn't say finally, because I believe in letting a restaurant get its feet solidly underneath them before going in and evaluating what they're creating and how they're doing at getting it on the table. Which is why I think soft openings are essential. Even though it was a Wednesday, we had to go around the block more than once to find a place to park. Which is always a good sign and made us wonder if we were in for a wait to get a table. Turned out to be more a case of groups of people meeting and each driving their own car. The waitress for the downstairs bar area greeted us immediately and asked if we'd like to choose a table in the bar or check out the upstairs. We opted for the upstairs, mainly to get a chance to see the rest of the remodel. I liked the intimate tables along the upstairs windows and the lighting, as well as the interior table area with enough space for a larger group. Our young waiter was quick to bring our water and menus, but was tardy at returning to ask if we were ready. Thankfully, one of the owners was walking through. She apologized for our wait, took our orders, and checked back later to make sure that everything was good. I'm usually a fan of starting my meal off with a salad, but we were both tempted by the French Onion soup. 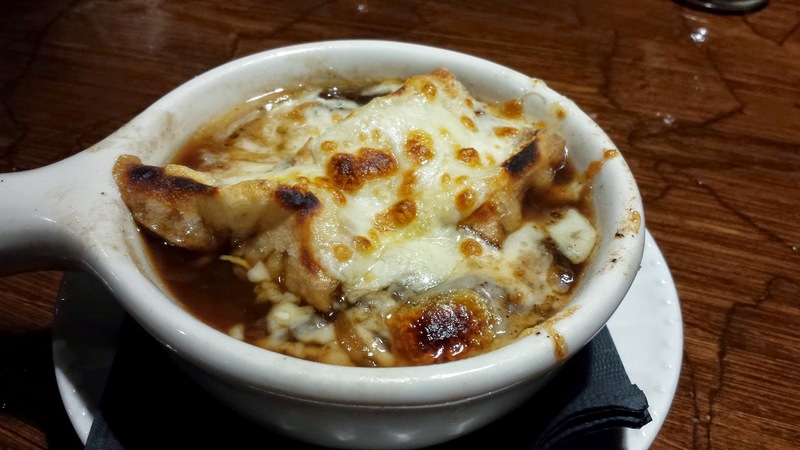 The caramelized onion and beef broth didn't disappoint with its sweet, mellow, cheesy, chin dripping flavors. I chose the Chicken Picatta for my entree. Perhaps I have a short memory, but I'm positive I've never been served a chicken breast cooked so perfectly in a restaurant. It was so tender and succulent! The bright, tangy, savory flavors filled my mouth with delight. 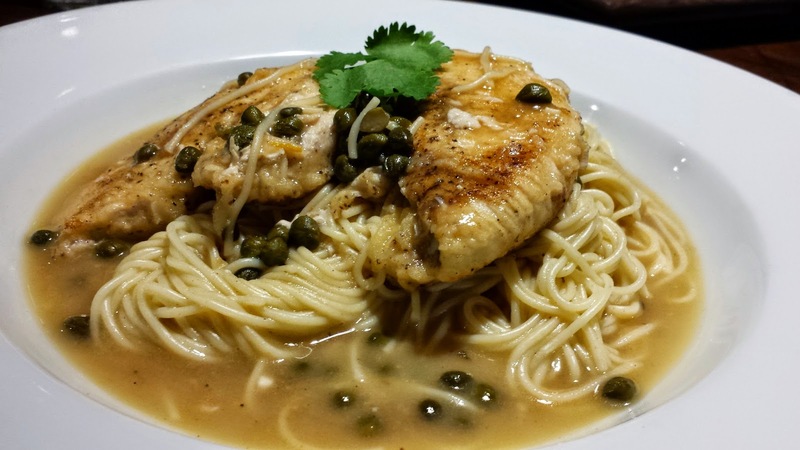 The angel hair pasta and capers only helped to make the entree complete in my opinion. Lucky for me, N was willing to share bites of his meal, particularly the Bacon Wrapped Meatloaf Medallions. The meatloaf, not to be outshined by the hearty bacon, was boldly and expertly seasoned, yet still well suited to the delicately flavored mashers served alongside. As you can tell by the bright color, the broccoli rabe was cooked just right-- tender on the outside, with a flavorful crunch. While we enjoyed our meal, a couple next to us were being tempted by the owner's description of one of their desserts. What were we to do? Of course we had to find out what silenced their conversation as they concentrated on each bite. After all, N and I are dessert loving humans. I apologize for not remembering the name of the dessert. 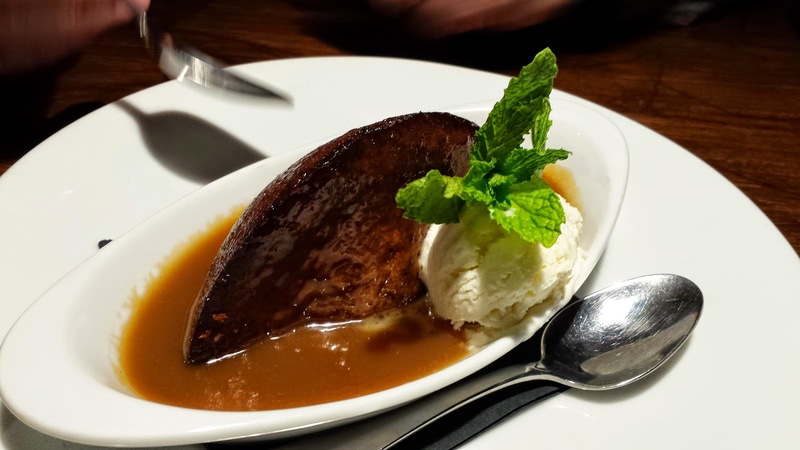 I do recall that figs were featured in the spiced cake and it was topped with a delicious toffee sauce. It was a nice, sweet ending to our date night. If you haven't given Mix Bistro and Bar a try yet, please do. Word on the street is that their burgers are hard to beat. If you have any issues with service (they are still new and working out a few bugs), please let them know so they have a chance to take care of it on the spot. 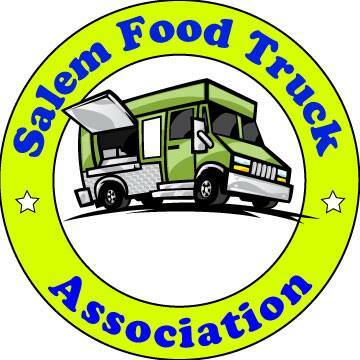 Eat well and eat often, Salem. I have been there twice now and its worth the trip down from Portland. 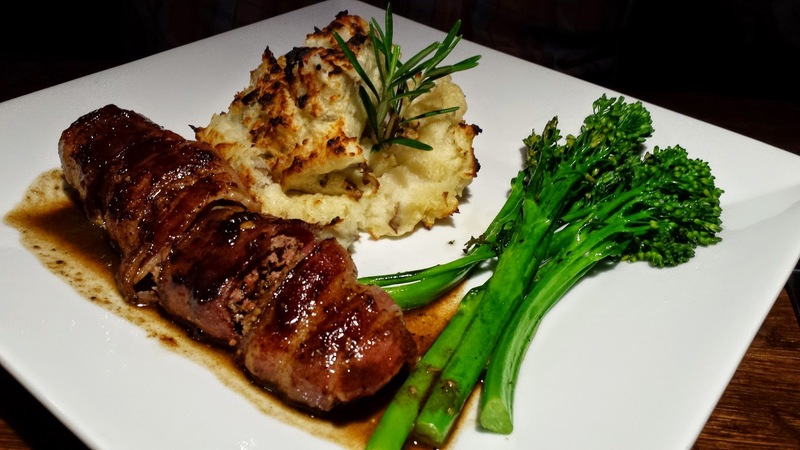 Well presented and prepared food, with gluten free options too! The owners are present and ready to address any issues that might come up. Great food, friendly staff. Yummy! What happened with Mix? So many good reviews and experiences. I heard someone say it was too good for Salem. We've heard that quality/service began to fall off. IMO it's not the ideal building, even though the location is workable. Their FB page mentioned The Rub Pub by the south European Market on Royvonne. I'm guessing that's where the owners are now.